New Delhi, Oct 24 (IANS) The AAP on Tuesday said the party will observe November 8 — the day demonetisation was announced by Prime Minister Narendra Modi in 2016 — as the ‘Day of Betrayal’ and hold protests across the country. 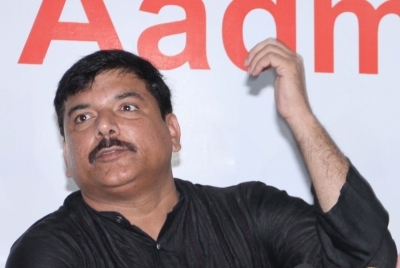 Senior Aam Aadmi Party (AAP) leader Sanjay Singh said his party will make the people aware of the ill-effects of demonetisation and the Goods and Services Tax and how it harmed the country’s economy. He said November 8 would be written in black letters in the country’s history and Modi had betrayed the people by the note ban. Sanjay Singh said demonetisation had rendered the youths jobless and farmers were forced to commit suicide due to the Prime Minister’s “thoughtless act”. The AAP leader said that Modi had promised to end terrorism, Naxalism and black money through demonetisation, but no such thing had happened.